In a big house on the edge of town live Mrs. Brown and all of her cats. All day long they lie around and nap while Mrs. Brown does her chores. But as soon as Mrs. Brown pets each cat on the head and goes upstairs to bed...it's party time! 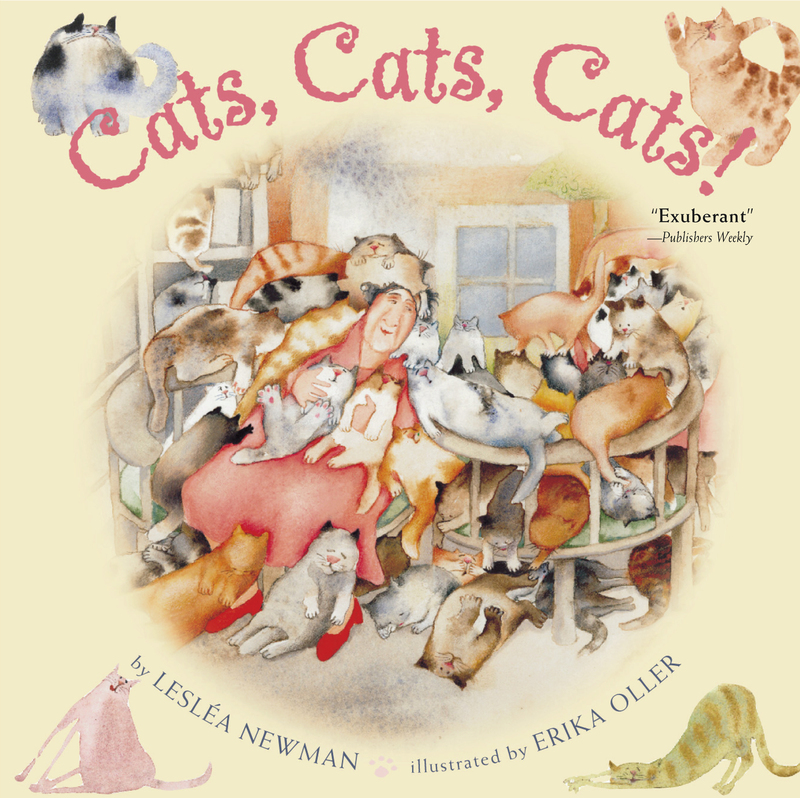 Lesléa Newman is is the author of several picture books, including Matzo Ball Moon, illustrated by Elaine Greenstein and Too Far Away to Touch, illustrated by Catherine Stock. She is the recipient of a Highlights for Children fiction writing award and a Parents? Choice Silver Medal. She lives in Northampton, Massachusetts. Visit Lesléa at www.lesleakids.com. Book Cover Image (jpg): Cats, Cats, Cats!